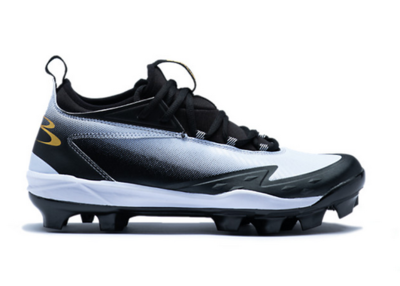 Command respect and strike fear in the hearts of your opponents in this swift and agile cleat featuring a neoprene bootie construction that keeps you locked and loaded all game. The stretchable neoprene collar of the Commander slips on and secures a great fit onto an injected foam cushioning system. Reinforced toecap extends further up the inside of the shoe to add durability throughout every throw. Next generation outsole features an expanded pivot ring designed to propel you forward.